UPDATE APRIL 17: The Nye County Sheriff's Office says that it has arrested 56-year-old Richard Cleaves for trying to find any buried treasure left behind by Ted Binion at his former property in Pahrump. Cleaves is being charged with burglary, conspiracy to commit grand larceny and destruction of property. 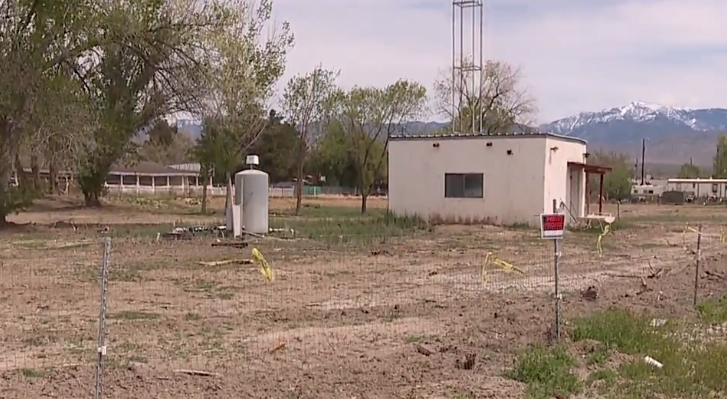 A man who was arrested in 2017 for attempting to find buried treasure in Pahrump has been at it again, according to Nye County Sheriff's Office. Sandy Murphy and Rick Tabish were tried and convicted of his murder and then acquitted after another trial. Murphy is currently living in Southern California and Tabish was released from prison in 2010 and is living in Montana. The sheriff's office is still looking for the men in the video. Anyone with information is asked to call the sheriff's office at 775-751-7000.